Has proposed leasing the city-owned sewage system to a private contractor for up to $200 million and using the money to finance college scholarships for Akron’s public high school graduates. He said money for the scholarships would help students attend the University of Akron or a trade school in the city, and turning over the system to a contractor would include rate caps and service guarantees. Plusquellic said the plan would address brain drain — a migration of talented students out of the city. The city’s population also has dropped 4 percent, to 207,934, since 2000 because of a decline in the manufacturing industry. Plusquellic’s plan is a twist on programs in other U.S. cities, including Kalamazoo, Mich., that offer scholarships to students with the hope that they eventually stay. But the National Association of Student Financial Aid Administrators knows of no other program that leases a sewage system to pay for college scholarships. Are band-aid solutions going to remain the “go to” panacea for public education in America? Sorry, Robert, I took this with some surprise. 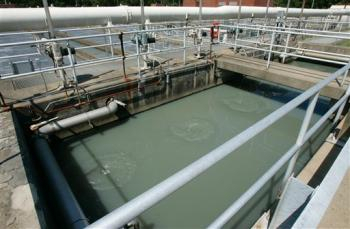 I’m an environmental engineer in my other life, and I know a little bit about wastewater treatment. Please, don’t mess with Madison’s other MMSD! It’s very well run and a great value for Madison! 40 million gallons a day, costing about 15 cents per day per capita. Privatization of U.S. domestic utilities is not the way to go if we want sustainable communities. Costs are likely to go up significantly – and operations often suffer – with privatization. So, be nice to the other MMSD! Please note that they’re great about having school kids tour the facilities. Book your tour today! Think you have missed the point of my comments and the post completely. I believe we are in full agreement on this one. And it goes without saying that we would both object to our mayor following the lead of Akron’s mayor, which is highly doubtful to begin with. I know. I suppose I was not clear in my response. I should have made it clear that my response wasn’t so much directed at you but at the very idea. It was just a surprise to me. Thanks for your post.